I can multi-task… sort of. Of course there is a limit to this—after all, I am a guy, and even compared to other men I am especially bad at doing multiple things simultaneously. 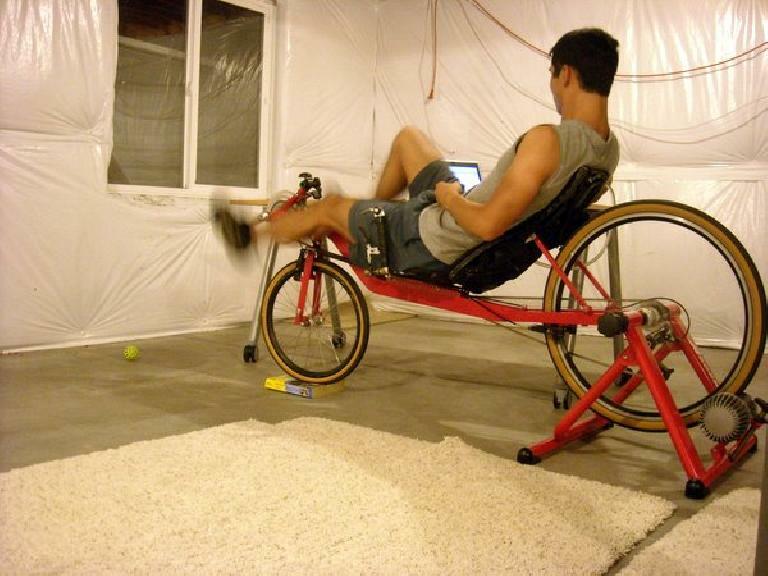 Anyhow, here is how I ride a bike while working on a laptop. Of course, my definition of “working” on a laptop is quite liberal here, as with my claim of “multi-tasking.” Although, I did write this post while pedaling the above bike!